As politicians try and hammer out a solution to the Cypriot banking crisis, bank workers protest outside parliament and ordinary citizens feel the pinch as cash becomes scarcer and people hold their breath for a deal to be reached. Politicians in Cyprus appear to be moving closer towards a rejigged version of the deal agreed last weekend but rejected by MPs, known as plan A. 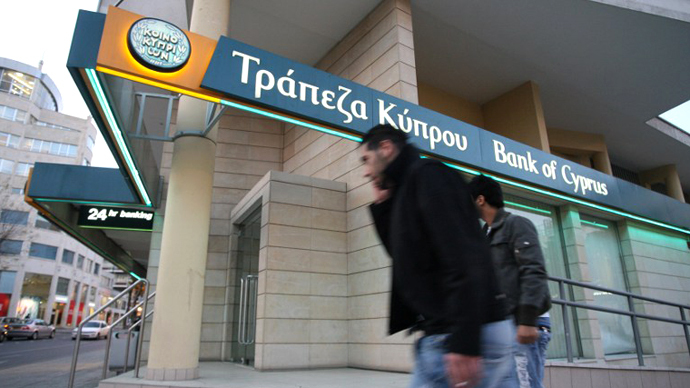 This would entail losses for large depositors, whose savings would be used to levy the Cypriot contribution to its own bailout fund, but smaller savers with less than 100,000 euros would be saved. 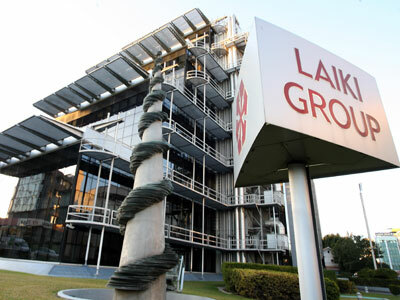 As politicians inched closer towards an agreement, about 1000 bank workers gathered outside parliament on Friday waiting for news on Laiki, the island’s second largest bank. 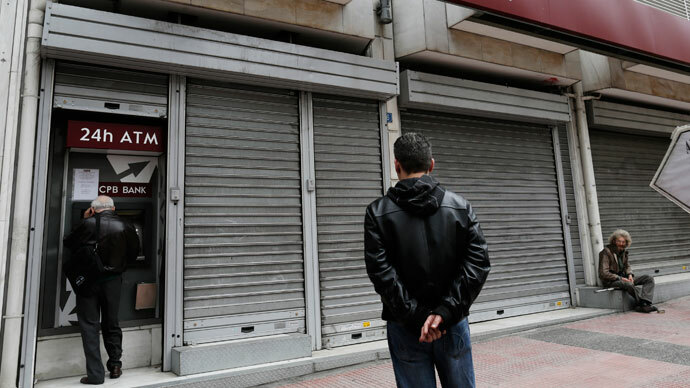 Many fear the loss of their jobs, and many of them have not been to work since the banks closed their doors to customers nearly a week ago. Three lines of riot police were on hand to stop protesters reaching parliament, although at one point they sat in the road at an intersection near parliament, blocking access for vehicles. 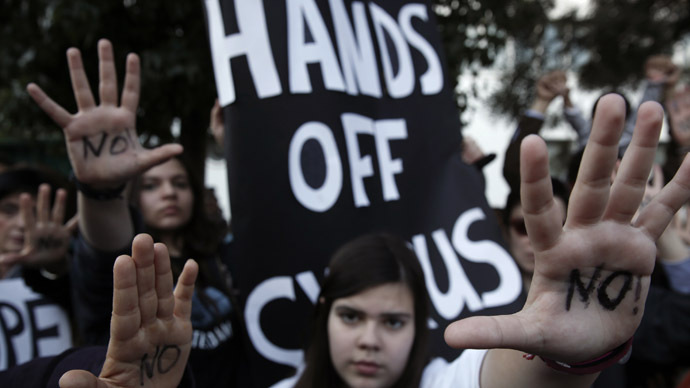 Many Cypriots blame Germany for the crisis. 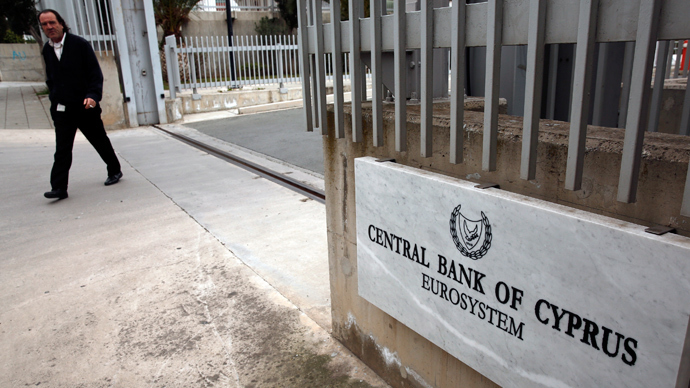 Many people on the streets of Cyprus believe it was mainly German officials who pushed for a Cypriot levy on deposits to be part of any European Central Bank bailout. 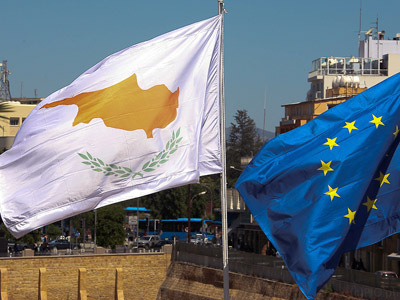 Tesa Arcilla, RT’s correspondent in Nicosia, the Cypriot capital, explained that there is a widespread feeling of negativity, especially at the EU, the Troika and Germany. “It’s not fair, this situation is not just for economic reasons, the main reason is the Europeans want to send the Russians out of Cyprus,” a Cypriot man told RT. 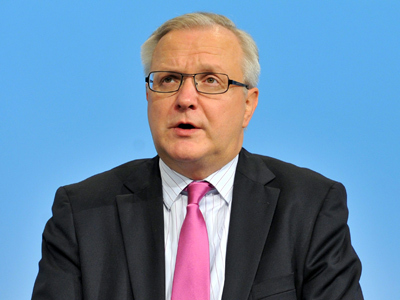 People are worried that the European Central Bank will only supply liquidity to the country until Monday and after that only if an EU, IMF program has been agreed. 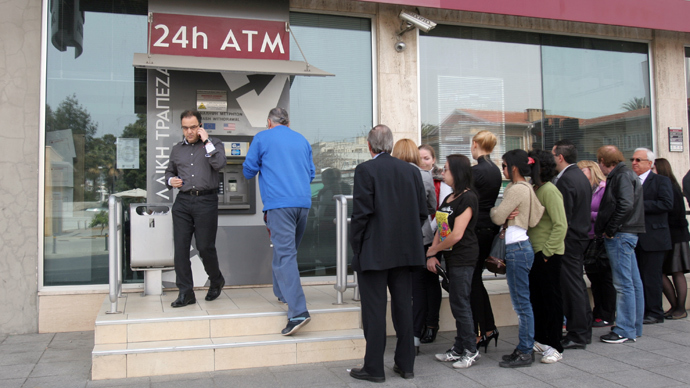 The result is a dash for cash on the ground, as Cypriots try and get as much money out as they can from ATMs; many of which have imposed limits on how much can be withdrawn. A Russian shopkeeper explained that business is down 70% in the last week, while another local shop owner complained of sleepless nights brought on by anxiety. Another direct effect of the crisis being felt on the ground is that most filling stations no longer accept credit cards and will only take cash as people try to hold on to as much money as possible. Many people are not confident that the banks will reopen on Monday and people are concentrating on getting through the next few days after already being in limbo for a week, Tesa Arcilla explained.